We bring all the custom conversions in Facebook ad account into ReportGarden. 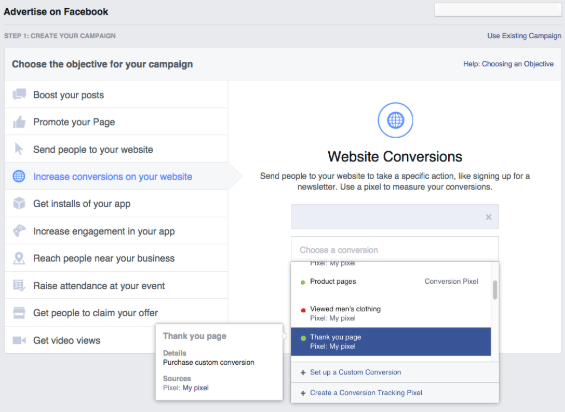 Below is the example for custom conversions on Facebook ad account. 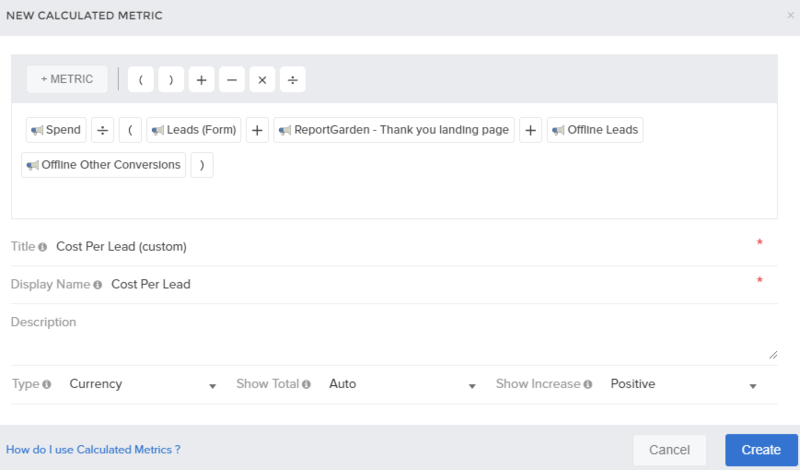 In ReportGarden, you can find all the custom conversions in the metrics drop-down. Don't forget to jot down the names. Step 1: Click on 'New Calculated Metric' button. Step 2: Click on 'Metric' button, enter the formula and create. Step 1: Go to 'Reports' and choose the metric in the widget editor. 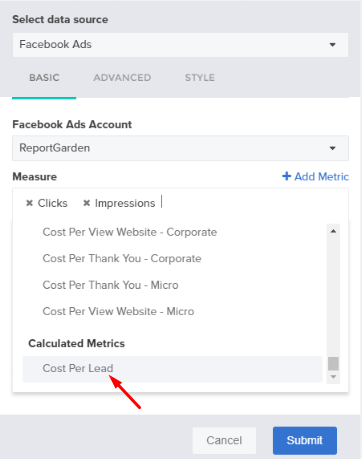 If you couldn't find a 'Custom Conversion' in the 'Calculated Metrics' drop-down, refresh your Facebook Ads account and try again in few minutes.